Sitting above a sweeping bend in the Talek River at the confluence of the Maasai Mara’s four game-viewing areas‚ Mara Intrepids enjoys the most spectacular locations in the Maasai Mara ecosystem. 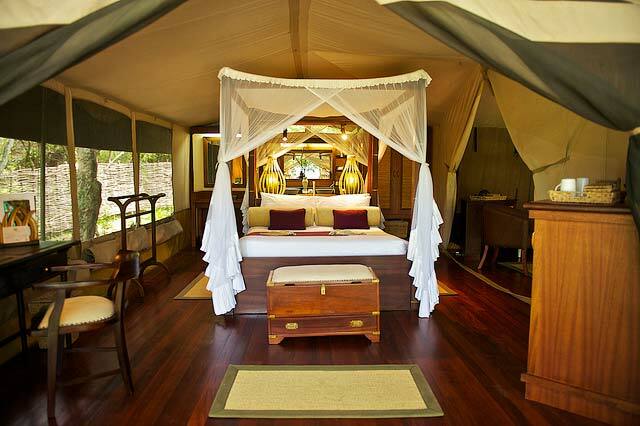 Each tent is furnished in the classic style of the grand African safaris‚ with large four-poster beds and handsome reproduction furniture offset by modern en suite bathrooms with hot showers‚ flush toilets and all modern amenities. Each tent sits on a shady platform‚ with sweeping views over the riverbanks where a wide variety of animals come to drink. The camp also enjoys a very close relationship with the local Maasai community‚ from which most of the staff hails from. 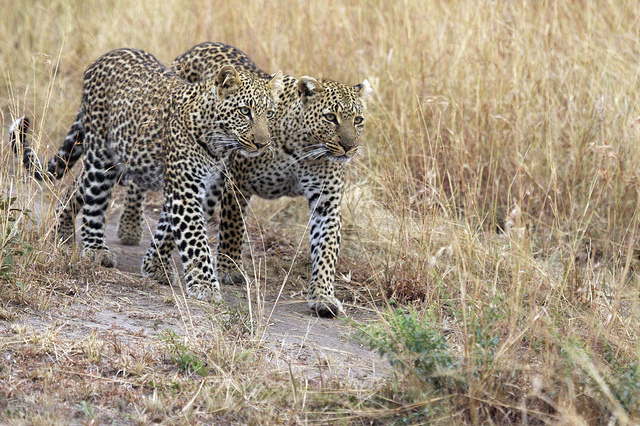 Activities are in 4x4 vehicles and accompanied by experienced guides as well and walking safaris just outside the reserve. Arrive at Safarilink lounge‚ Wilson Airport for your scheduled morning or afternoon flight to Masai Mara. The flight is approximately 45 minutes to OlKiombo Airstip in Maasai Mara. 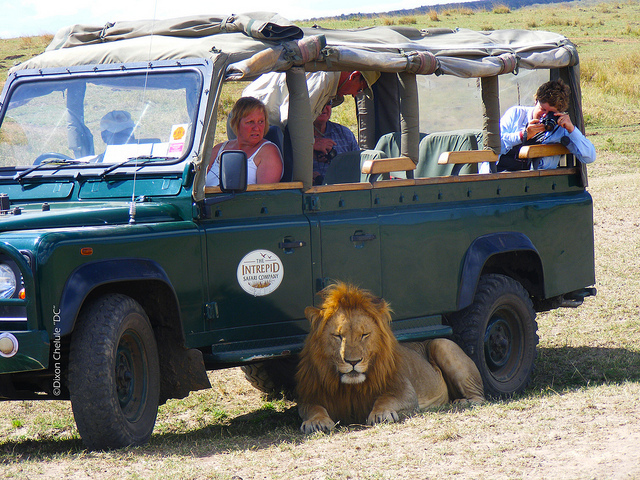 Upon arrival at the airstrip‚ you will be met by a driver/ guide who will transfer you to the Mara Intrepids to check in. After lunch you will depart for a late afternoon game drive or enjoy other activities offered at the camp. You will set out just before sunrise in search of game as you enjoy the richness of the Park's wildlife and endless savannah. The Maasai Mara is known as Africa’s Greatest Wildlife Reserve and is famous for the abundance of lion‚ the Great Wildebeest Migration and the Maasai people who are well known for their distinctive custom and dress‚ it is without a doubt one of Africa’s most famous safari destinations. The Masai Mara stretches 1‚510 sq km and offers the best game and bird-viewing not only in Kenya‚ but anywhere in Africa. The views across the rolling golden grasslands studded with acacia trees‚ rivers and forests are dazzling‚ the sense of space overwhelming. In between your morning and afternoon game drive you will have ample time to relax and enjoy the ambiance at your luxury tented camp. Enjoy a final early morning game drive before breakfast‚ after which you will be transfered to the airstrip for you flight back to Nairobi. Rates quoted are for Non residents per person sharing. Single room supplement available on request. Discounted rates for East Africa residents are available on request. Hotel accommodation is upon request and availability will be confirmed within 48hours. Accommodation will only be deemed confirmed when a voucher is issued by Safarilink for the respective lodge or hotel.